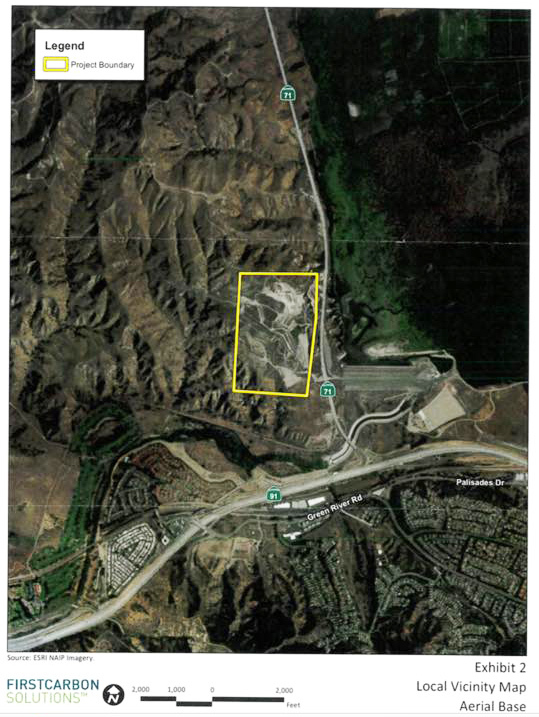 Chino – The County of Riverside wants to build an off-road motorsports facility at the southern end of the 71 freeway and it has the City of Chino Hills worried about the impact it might have on their residents. The project “Prado Raceway” proposed location will be adjacent to the Chino Hills State park with in the unincorporated community of Green River. The proposed facility would consist of nine racetracks each one built for different ages and expertise levels. There will be concession stands, seating, and operations office and eight desilting basins for drainage purposes. The corporation applying for the approval is EVR Motorsports; LLC located in Irvine, Bradley N. Etter is the representative of this project. The majority of the site is empty; there are activities of sand extraction and mine reclamation that are scheduled to be phased out by the year 2036, according to the notice of preparation. Chino Hills State Park is located to the west of the proposed location, the City of Chino is to the north, the City of Corona is south and the unincorporated Prado Basin in located to the east. The vice mayor of Chino Hills said in a report that she just learned about the project earlier this month and is concerned about how the traffic and noise will impact the residents of southern Chino Hills. The facility would make use of 163 acres with off-road motocross tracks and a short course off-road track for race trucks and four wheel drive off road utility task vehicles. The City of Chino Hills staff will prepare a comment letter to express the concerns they have and the environmental impacts they would liked addressed before it is approved. Chino Hills State Park and Hills for Everyone, the organization that founded the State Park has also been notified of the proposal.